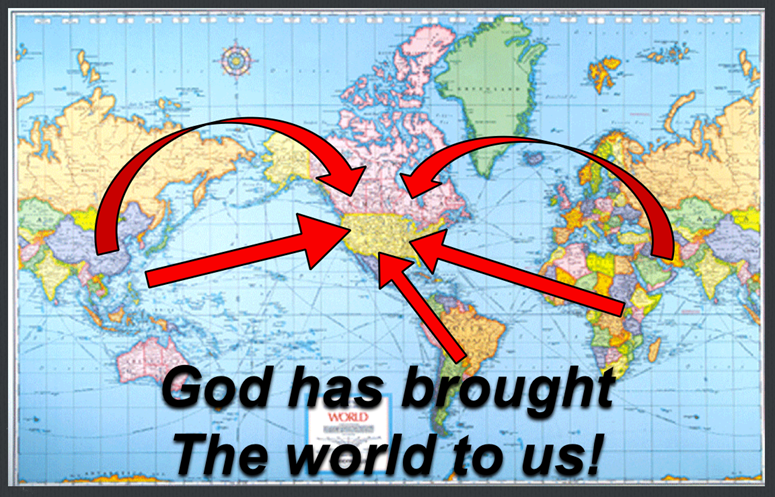 God is on mission for the entire world and He is bringing the world to our neighborhoods. 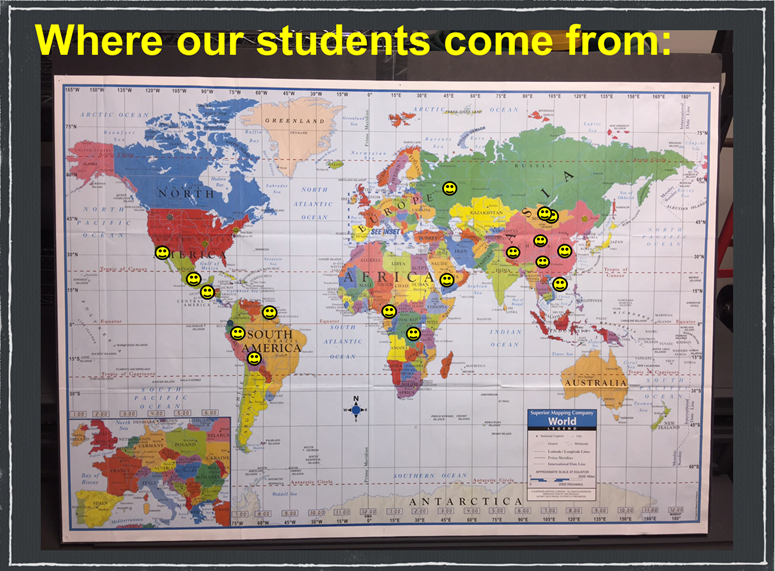 According to the Canadian Bureau for International Education, 353,000 international students studied in Canadian universities and colleges in the 2015–16 school year. Thirty-four percent of them came from China, fourteen percent from India, and three percent from Saudi Arabia. 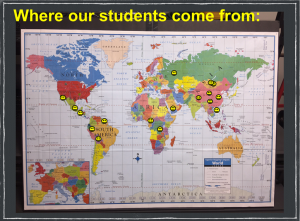 According to Open Doors, a publication of the US government, over 1,000,000 international students studied in the United States during the 2015–16 school year. Thirty-one percent of them came from China, sixteen percent from India, and six percent from Saudi Arabia. More than seventy percent come from the 10/40 window, the region between 10 degrees north and 40 degrees north across North Africa, the Middle East, and Asia. This is where ninety-five percent of the world’s unreached people groups live. There are currently 350 unreached people groups represented by individuals living in North America. There are refugees and immigrants entering Canada and the US every year. Most come from the 10/40 window, and most come from unreached people groups. The Syrian refugee crisis is a global crisis, and NAB churches are responding by opening homes. As the NAB cross-cultural equipper, Bud Fuchs is experience in cross-cultural ministry. His experience includes serving both as an international missionary and serving on staff at a church where he was responsible for ministry to international students. Most recently, Bud has developed a team that is reaching out to three thousand international students in Utah. He does on-campus visits at Utah Valley University each week to connect with students, and he has equipped the church to minister to this student population. Conversational English is one of the greatest needs of International students. Bud hosts Conversation Cafes each Saturday morning and can train your church to host a similar ministry. Bud, and those he leads, use a guided curriculum dealing with topics such as culture shock, friendship, and holidays. The goal is to help with both conversational English, but also adapting to North American culture. Bud has also connected with some refugee services and other churches in the area to offer training and support. Bud is available to offer training seminars that can cast vision and coach your group or church to reach out to the internationals in your community. These seminars can be held locally or online. If you would like to participate in one of these seminars, please contact Bud Fuchs. This is an overall vision-casting seminar to help your church understand the need for this type of ministry and the how-to’s of getting started. $10 fee, you will receive a copy of the book Without A Passport and a manual. This training seminar focuses on the how-to’s of running a conversational English event. 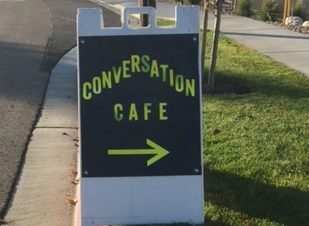 Conversation Cafe is not an English Second Language (ESL) class. 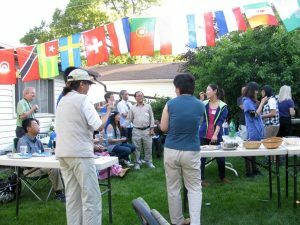 It is an event that draws students and immigrants who want to practice their English and connect with North Americans. Most internationals stick close with their own ethnic group and struggle with language and culture. Our seminar will help and guide your church to launch this type of event. Discussion guides for at least one year will also be available for your group.